Återförsäljare i Europa har traditionellt arbetat med räkimportörer för att säkra tillgången på färsk och frusen varmvattensräka. På senare år har dock en ny trend utvecklats där återförsäljarna har börjat köpa räkor direkt från källan och utelämna importledet. De köper direkt från exportören för att förbättra kontrollen och få bättre marginaler. Retailers in Europe traditionally work with shrimp importers for their supplies of refreshed and frozen warmwater shrimp. In recent years, a trend has been developing in terms of retailers wanting to start buying shrimp more directly from the source, leaving out importers and buying directly from exporters, in order to increase their control and to better manage margins. Large exporters in countries such as India applaud this trend as they proclaim to be large and mature enough to do direct business with European retailers. However, importers stress that exporters should not underestimate the risks of doing business with retailers directly. Keeping stock, working with fixed price agreements, and dealing with claims when things go wrong require financial strength, a strong organization, and an ability to build a strong relationship with the supermarket’s purchase team. Shrimptails spoke with Ben Van Wolput, managing director at Antwerp Cold Stores (ACS) in Belgium, about the likelihood that more retailers will source more directly. Antwerp Cold Stores (ACS) is a logistics cluster for companies in the food industry, offering services that would normally be provided by importers. It is strategically located on the left bank of the Port of Antwerp within a stone’s throw of the biggest container terminals in the port, and right next to the Border Inspection Post (BIP) where all sanitary inspections take place. By operating a site of 36,000 m2, on which a temperature controlled warehouse is located of approximately 16,000 m2, ACS offers value-added services to the increasing demand of the food industry. 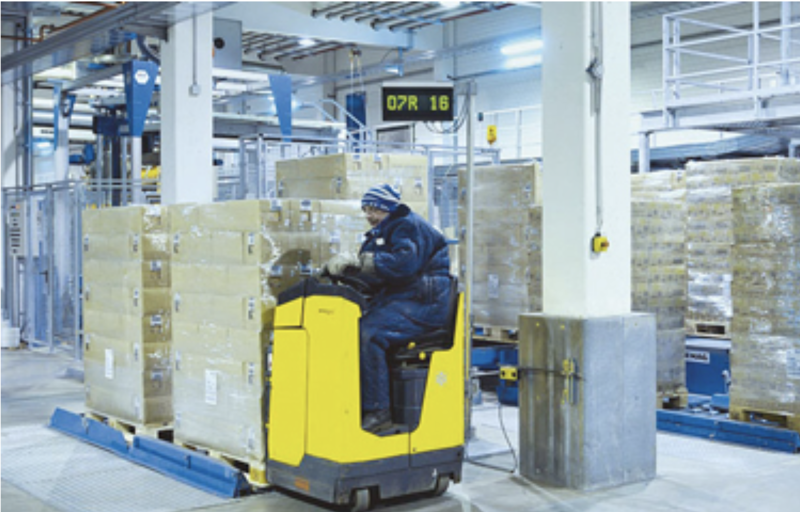 The warehouse has a capacity of 8,500 pallets of frozen foodstuffs and 7,500 pallets of chilled foodstuffs. The company started its activities in March 2016 with staff and management that has more than 20 years of experience in the industry. An important client to which ACS provides its services is Colruyt, Belgium’s largest retailer. Colruyt buys part of its warm-water shrimp from importers and another part directly from the source. Van Wolput explains that as soon as Colruyt places an order with the exporter, ACS follows up with the shipment until arrival in the Port of Antwerp. ACS then coordinates customs clearance, veterinary documentation and inspection, as well as transport to and storage in its facilities next to the contain-er terminal. In its facilities, the ACS team unpacks the container, inspects the cartons, taking samples for analysis, loads them onto pallets and stores them in a cell used only for Colruyt’s products. At a later stage, ACS brings the requested goods to the client’s premises based on the first expired, first out (FEFO) principle. He continues to explain that more retailers may want to start sourcing directly but that the import and customs formalities and sanitary inspection procedures are important factors in the overall picture of purchase and logistics. The purchasing and logistics departments of supermarkets depend on strong logistics partners to make direct sourcing possible. According to Van Wolput, ACS can certainly support larger shrimp exporters in Asia in setting up their own distribution in Europe if they follow the correct procedures regarding inspection, quality control and storage. He thinks that exporters could benefit from having a substantial number of pallets already close to the market and their customers in order to decrease delivery times. When demand for shrimp is high, supermarkets need to have shrimp in their stores and not on the vessel or in the exporter’s factory. But the question, according to Van Wolput, is whether exporters are willing to invest in such a setup and business model. Perhaps, he says, they haven’t found the right partner yet. Although there are exceptions, so far the majority of European retailers continue to buy shrimp from importers, and not directly from the source. Most supermarkets lack the capacity and expertise to take upon themselves all tasks and responsibilities of importers and therefore, if they decide to go directly to the source, they need a strong logistics partner that can service them. If re-tailers or large exporters decide to start doing business more directly, strong logistics partners are a crucial element for success.